The beautiful Lebanon Valley is really a destination among destinations. We are truly located at the heart of it all! Not only can you enjoy the sites and events here in Lebanon Valley, but you can also stay here while enjoying nearby attractions in Hershey, Lancaster, Reading and Gettysburg. Lodging rates in the Lebanon Valley are about 20% LOWER than in surrounding counties. Yes, that means more vacation for your money when you stay overnight here in comfortable, scenic Lebanon Valley. We’re proud to offer you more open space to relax and enjoy Pennsylvania’s great countryside, but be sure to book rooms early – we have less than 1,000 total rooms available throughout our Valley. No matter when you visit this year, you’re sure to enjoy your stay. 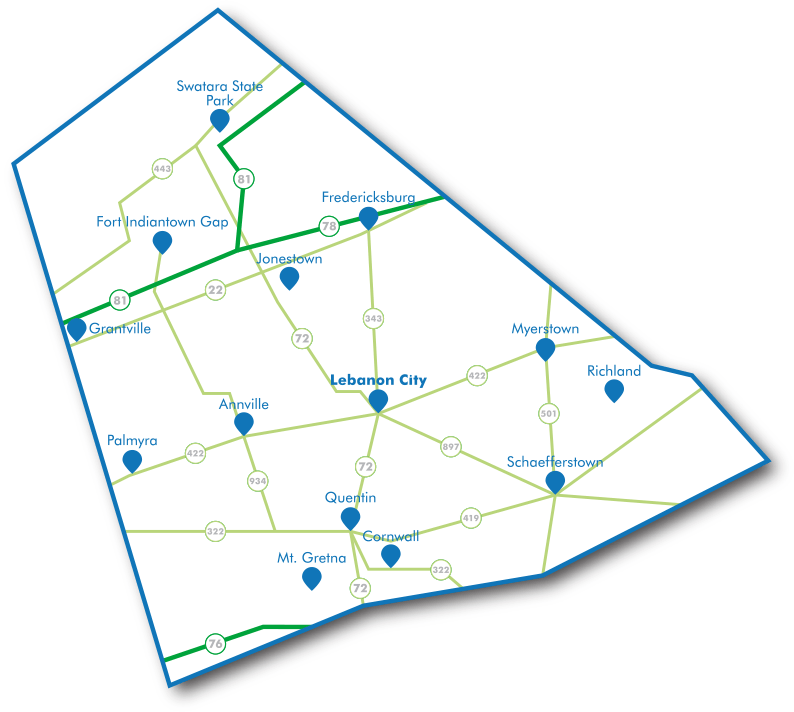 Select a location from the list below to find some of the great places you can stay in the Lebanon Valley. Manheim, PA - Lancaster County Cider prides itself on creating real hard cider with locally grown ingredients. Live Free.